However, doing what I do for a living I often get questions about training, food and health from my friends. In fact, my flatmate began a sentence the other day with “Dr Mike, what should I do when…”, feel free to finish that yourself, especially if you know my flatmates. Of course, I’m not a doctor, but I clearly know a bit more than him on certain health matters. So, on occasion, he seeks me out for advice. I actively read research from varied sources; training industry leaders, to nutrition experts and research articles on health, fitness, training and nutrition as well as books on varied subjects under this umbrella, so I guess that makes me the “doctor” – in our flat anyway. So, I thought, I’ll try and slowly cover something I’m qualified and experienced in, some training basics for now, over the next few weeks, months, however it plays out… Maybe the faux doctor stuff a bit later. Squat, bend, lunge, push and pull. I’ve attached photos and some descriptions with them. There are many variations on the squat, as with most things, but the standard, run of the mill squat involves movement through the ankle joint (mobility here is critical), knee joint (stability and strength here are critical) and the hip joint (stability, strength and mobility are critical here), as well as holding a neutral spine (neutral thoracic extension and neutral lumbar curve) throughout the entire movement. One important thing to note when it comes to training, in my opinion, is that there are NO absolutes. Everyone is different and must be treated as such. If something doesn’t quite feel right for you then perhaps it isn’t, try and find out more information. On the other hand, you could just be soft and maybe you need to take some much needed concrete in order to harden up. Either way, give it a crack, and go from there. If you need help, get it. Starting from the ground up, your feet should (probably) be about shoulder width apart with a slight angle outwards. As you squat down, your knees should follow the same direction as your toes and move forward over them, as your hips move down and back towards the ground. 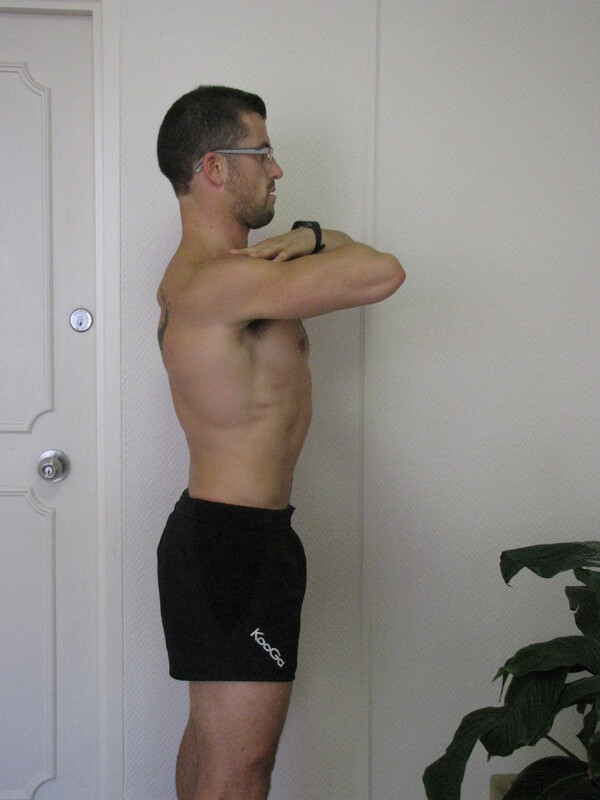 Ensure to keep your chest high (this is holding neutral thoracic spine) and do not let your lower back change from a slight concave curve, think of a gentle S-shape. You should be ‘bracing’ through your stomach relative to the load you are moving. Try to slowly breathe in as you descend and let the air out as you stand back up to the starting position using your legs and gluts; squeeze your quads and arse. Use whatever analogy you need to here… but get your hips up and forward and your knees back, with some power. That’s it really. Start with 10 repetitions of this with a weight that is challenging towards the end. Do 3 sets of this with a rest of about 1 minute in between. Progress as you can. See attached photos for, well, pictures, and key points. There wasn’t so much squatting in Queenstown (if I’m being honest), but there was a quantity of meat eaten. Whilst I was in Queenstown I also made the most of the generous hospitality of my friends and locals and cooked and ate some Muttonbird. I’d heard of this bird but knew limited things about it. Certainly, I’d never eaten it or seen one. This time, however, I had been provided with two birds to cook. Like most birds, not that attractive raw. See pictures for this obvious point. The birds come from an island in the group of Muttonbird Islands, off the coast of Stewart Island. This small island is called Little Moggy Island. His dad’s mates are a Maori family that have customary rights to this land with one other family. They are the people that Weaner ‘has done a few favours for’ and they gave him some birds in return. They are the only people that can get the birds from the Island, evidently. Much obliged. Kiaora. Then a few days pass before it’s time to cook and eat. I headed around to Ralphy’s place again and I talked to him about Muttonbird, as I’m essentially clueless on the subject. We discussed the general points of the bird and how it should be “done”. He had some idea, I obviously had none, but we soon did what comes natural to most Gen Y/X/whatever we are… and hit the Internet in search of the answer. The Muttonbird, also known as the Sooty Shearwater and Titi to Maori, is a sea bird named so because of it’s mutton like taste. The New Zealand birds inhabit a group of Islands off the southern most coast of Stewart Island which is at the very south of New Zealand. Only local Maori (Ngai Tahu) have rights to go on to the Islands and catch the birds. I say catch, it’s more like snatching, as it’s the young birds that are taken from their burrows during the period before they shed their down and begin their yearly migration to Islands off the North West coast of, wait for it… ALASKA! I’d say some would be glad to be snatched! That is a bloody long way. I can hear the conversation between two local muttonbirds going something like this “I heard about where we fly to after this summer lark. Alaska! I think I’ll see if there’s any friendly locals willing to take me in this year Reg”. The birds are killed, plucked and generally dipped in hot water to remove any remaining down. Then they are split and cleaned and subsequently often dry-salted. There are a few different recipes, as always, but most say to boil the birds for a period and repeat 2-3 times with fresh water each time, in order to boil off a lot of the fat and salt. From there hit the BBQ or grill. We get a big pot boiling and lower the birds in. We decide on a 1 hour boil first up. This is the period in which our ‘recipe’ takes shape. After the first hour we remove the birds. Ralphy tips the fatty, salty water out and I put the birds into fresh water and bring to the boil again. After an hour we have the BBQ hot and ready to go. We were going to bake with some herbs but luckily a mate called in during the second boil and informed us that the remaining fat will catch alight if we do that. We concur, instantly, that’s not a good idea. After the second boil of an hour followed by about 10 minutes on the BBQ the birds are done. Ralphy’s purple Kumara mash adds a delightful yet slightly questionable and ‘Push-pop’ like (remember those?) colour to the meal that includes a salad of “whatever’s in the fridge”. So, Muttonbird has lived up to its name for Olly and I, who’s also dining. It was a dark meat to eat, tender, oily and salty, but tasted distinctly like Mutton – mature sheep. It’s definitely salty, but not too bad. Maybe, another fresh water boil next time. Conclusion: I like it. It’s a greasy little bugger and fiddly in a similar way to the quails, but somehow the Muttonbirds were more rewarding. By the time our other mates arrive to taste a bit of leftover bird, it appears some of the saltiness has returned on resting and it’s is a bit much for them. Post eating, Ralphy and I remember that in the effort and challenge of cooking, and in our haste to eat, (what Ralphy would later settle for calling dinner, even though it was 4pm as it was “too confusing a time to be labelled anything else. Definitely not lunch”), we forgot to play Dominion Road by Kiwi band The Mutton birds. He quickly puts it on. Not quite the effect as some previous week’s songs, but token all the same. An easy meat to get your hands on – this is not. BUT, if you get the chance to try Muttonbird I recommend giving it a go. The point is, try something different, get outside your predictable comfort zone. Know your source and get into it. All in all, it was quite an enjoyable process from the preparing to the boiling to the eating. Currently, the birds would rate at 5. Above the quail, but below crocodile, lamb, venison and duck. Those ones are hard to split. What I want to know is – who has fired up the oven and tried one of my recipes? And…. who’s got a recipe to throw my way? Special thanks, again, this week go to Simon (Bundy) Ward for hosting me and to his parents John and Sue for having me stay at their awesome batch. Cheers to Fraser (Ralphy) Wilson, Mark (Weaner) Wilson and the family from Little Moggy Island. And , to New Zealund ,in general, for thuckening my accint up plinty….